It’s a basic fact that clowns are incredibly unsettling, but whenever you ask someone why they are so the answer is almost always “because they just are”. You have most likely seen that the Killer Clowns have arrived, just in time for Halloween. Either in your area or you’ve seen them being talked about on the news. 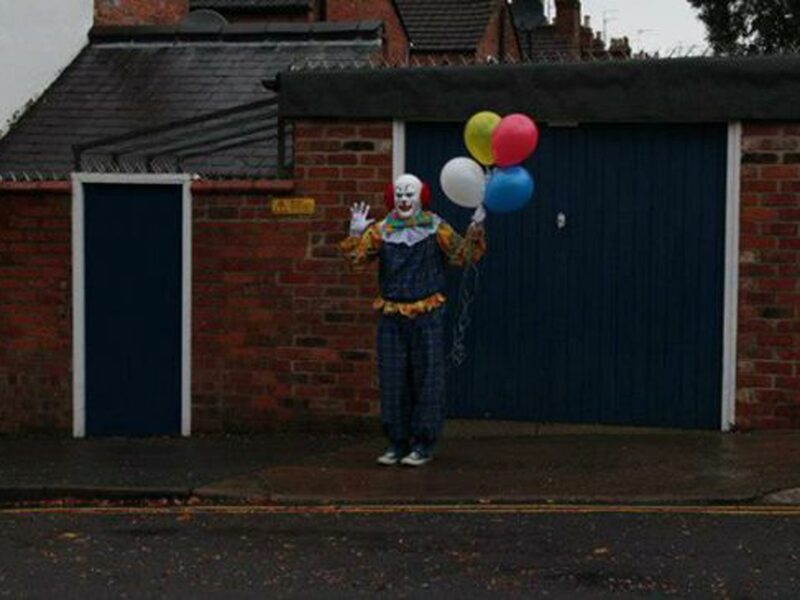 You may think that this is just some harmless fun; kids dressed as scary clowns to scare people in the dark. Not hurting anyone right? Except that some of them are. Yes, most of these clowns are just standing around in the night looking menacing but others aren’t so harmless. All clowns are creepy but these ones take the cake. We’ve only just recovered from the years of night terrors Tim Curry caused as Pennywise too. The main question that we concern ourselves with is how this weird phenomenon all started, where it all started, and why it all started. Now it is worth saying that the phenomenon has more or less passed now, however, fear about bumping into a clown is still real. People are scared to leave their houses alone at night, and many are reluctant to go out over the Halloween weekend. Halloween, the best holiday, is in jeopardy! We cannot have this! The clowns were first seen in the US in late summer of this year. Since then, it’s spread to the UK, Australia and Canada. This phenomenon may seem like fun but this is a serious thing – even the President was asked about his views on the craze. Schools have gone on lockdown in the US due to threats of clowning, young kids have been chased to school but people in masks wielding both real and fake weapons, and there have been police arrests due to both real and false claims of sightings. There have been scary clown pranks everywhere since the dawn of YouTube and social media in general but this is a whole other thing. Some people think it all started as a marketing campaign, others believe it’s just a strange internet phenomenon that just spread like wildfire. But the thing about this kind of experience is that we can’t really ever know why or how it started. It just did. First – the paint. The idea that you can paint a false smile on a face that isn’t truly meant is incredibly odd. Let us explain: human beings look for clues to read and understand people which usually come from the face, it’s in our nature. It’s a kind of chemical malfunction in the brain that confuses us when we can’t see these clues; as Dr Richard Talbot, a professor at the University of Salford, stated, “There’s a painted face which stays static but the facial muscles are still moving underneath, so our brains can’t quite make sense of it.” It taps into what Sigmund Freud called the uncanny – the idea that when you look at something that is recognisable but isn’t quite right and makes you feel uncomfortable. Like a permanent smile that caused wrinkles so deep that they might actually be hitting the bone, and eyebrows that are too arched to be even remotely natural. Second, the history of clowning is pretty dark. They’ve been a thing for centuries, dating back to ancient Egypt. Early clowns, court jesters would openly mock society and the monarchy maniacally to make the officials laugh. However, if the jester didn’t make the king laugh, they would have their frown muscles severed so they genuinely would be permanently smiling. The first clown that used paint to create a famous permanent smile was Joseph Grimaldi in the 19th Century, a manic depressive whose life was plagued with constant heartache. His wife died in childbirth, his son died of alcoholism, and his slapstick form of comedy left him in pain and disabled. 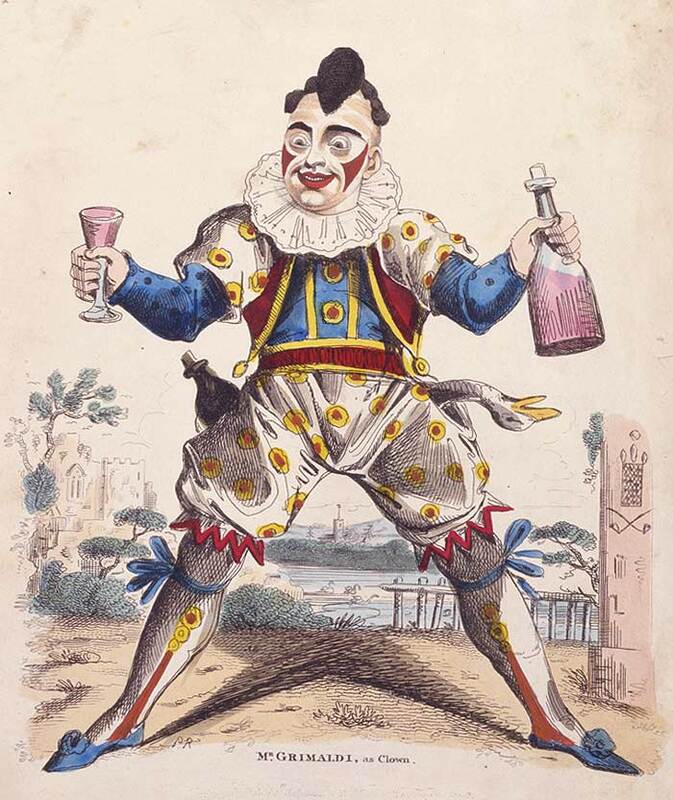 He famously said “I am grim all day, but I make you laugh at night.” A French clown of the name Jean-Gaspard Deburau was part of the reason why clowns have a murderous sentiment attributed to them these days. He hit and killed a boy who shouted insults at him with a walking stick in 1836. By the late 1800s, clowns were a circus-staple but they freaked a lot of people out. They did act like maniacs after all. Third, they rarely speak especially in today’s media. They’re the silent killer lurking in the dark that will rip you limb from limb while the perpetual smile is still etched upon their faces. It removes any aspect of human connection that human beings crave instinctually. As we’ve already outlined, the media is much to blame for the terrifying depiction of the clown. 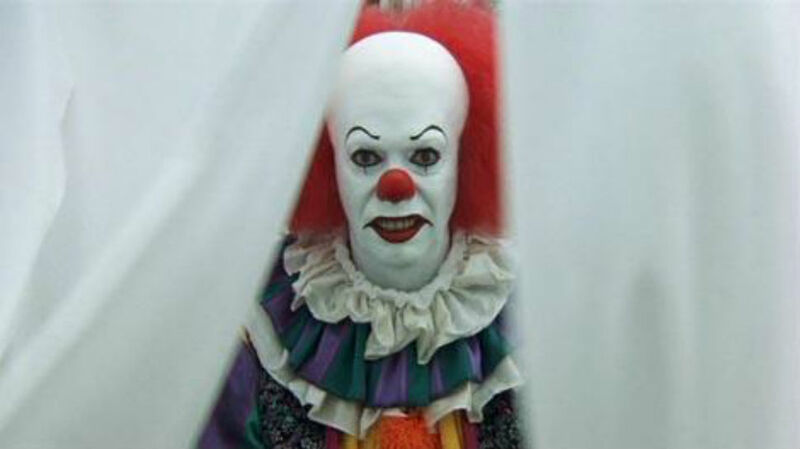 Film, tv and it’s influences are part of the reason we as a society have this strange fear of clowns. The one that may have started it all, Pennywise. Stephen King is true to name, he is King of creepy and IT has tortured us since the book was published. When the TV miniseries came out in 1990, it was game over. Pennywise is malevolent and a cold-blooded demon child killer, who only surfaces every 30 years usually takes the shape of a clown, but did take the form of a spider once which spurred the arachnophobia. He’s terrifying, both when melted with battery acid and when he is unharmed. We were subject to intense night terrors for the rest of time. We can never look at a drain ever again, nor can we put the washing on the line on a lovely day – It might be between the washing lines. Once again, thanks Tim Curry. The killer clown trope isn’t just reserved by Tim Curry. There have been many killer clowns over the years: Eli Roth’s Clown, the 20s silent film He Who Gets Slapped, 80s Killer Klowns from Outer Space, S.I.C.K: Serial Insane Clown Killers, and this is just a small selection of film. The creepy clown is now the only way you can portray a clown these days. For example, the famous Batman villain, the Joker has been around since the 40s and only shows signs of getting nastier, and Universal Studios’ annual Halloween Horror Nights most popular Icons Jack the Clown and his ballerina clown companion Chance are murderous, sick and sadistic performers. 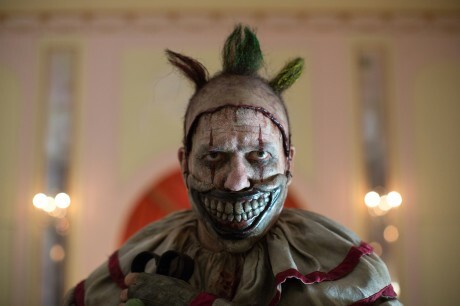 However, in our opinion, there is no clown creepier than American Horror Story: Freakshow’s Twisty. Twisty didn’t really last long on the show but boy was he creepy. A childhood performer who was bullied into leaving his Freakshow home and decided to put a shotgun in his mouth, except he wasn’t successful. He simply blew off his jaw, leaving him horrifically disfigured. So he covered it with a mask, that was possibly even creepier. The character himself is actually more upsetting than he is scary but in the first few episodes of the fourth season, he was the silent. Staring. Seemingly able to not blink at all, and dressed in a dirty, blood soaked clown suit accessorised with a scalped head for a hat. Can you blame us for being creeped out? It’s been said that there is nothing scarier than real life and when considering fears of killer clowns, there is one name that always come up. 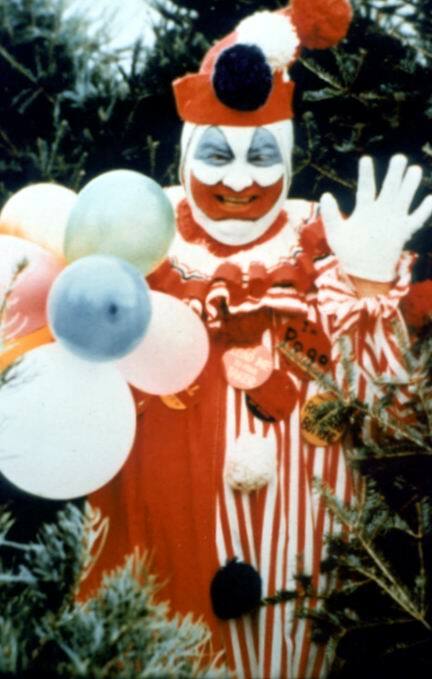 Pogo the Clown, known as John Wayne Gacy or “the Killer Clown”. Gacy was guilty of the murders of 33 young men throughout the 70s and confessed in 1978. He would dress up as his clown alter ego, Pogo, for charity and kids events but also would occasionally wear the grease paint as he murdered. Pogo the Clown inspired many of the clowns above, especially Jack the Clown from Universal’s HHN. Gacy once said in an interview that there were four Johns: John the contractor, John the clown, John the politician, and the final being Jack – the evil one. The character Universal created was originally named John Schmidt but when he became a carnival performer (and later a deranged murderer), he took the name of Jack. The way Gacy painted the mouth of his Pogo persona is a very similar shape to Twisty’s mask too, which may have been an accident but it could be a nod to the Killer Clown. This is why the random clown sightings aren’t funny. There’s a legitimacy about clown fears, it’s not just because clowns look unsettling, it’s because film and tv has painted the entertainers as cold-hearted murderers and that’s it. Their only purpose these days is in the horror genre. If you see a random clown in the dark, the immediate thought is that it’s going to straight out murder you. Now while we have a lovely range of clown costumes, these ones are strictly for having fun. We do not support anyone using our costumes to terrorise others in the night. This weird phenomenon needs to stop. Right about now.